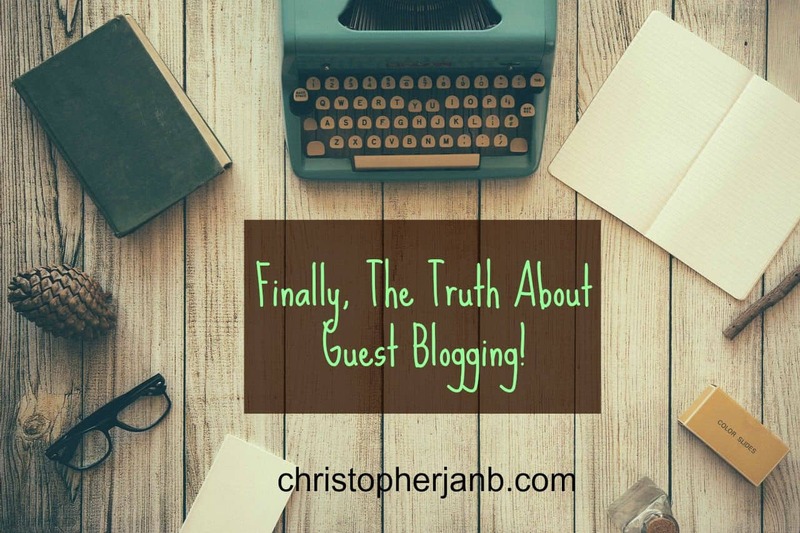 Finally, The Truth About Guest Blogging! Due to the influx of thin and poor-quality content published on different online publications by guest bloggers, Google penalized MyBlogGuest, a site that connects guest bloggers to publishers, to send those who pursue this tactic a stern message. So guest blogging has been dead every since, right? Didn’t see that coming from a mile away, did you? Regardless of what Matt Cutts said, guest blogging is still a very powerful tactic that you must integrate into your overall marketing strategy to help achieve your online goals. In fact, if you read the pullout quote from Matt Cutts carefully, you should have caught on that guest blogging was never to be killed at all. In the quote, he mentioned guest blogging as a “link building strategy.” As a link building strategy, the aim of guest blogging is to gain a link back to your website or blog. Because of this, the only thing that matters is to get a link placement within the body of the content, regardless of the post’s quality. As a result, your guest blogging strategy consists of poorly written content with conspicuous use of anchor texts linking back to your site. With Google on the move in ranking informative and helpful content higher over anything else, using guest blogging in this context was never a sustainable strategy, to begin with! Not only is it blatantly unnatural link building, but it’s also proliferating thin content online, both of which are frown upon by search engines. Don’t want to find guest blogging opportunities on your own? Then download my FREE list of 1,343 blogs that accept guest posts so you can just pick and choose which sites to write for from the list! So what is the secret to successful guest blogging? That’s it. It was never meant for SEO. Imagine this: you can nab a guest blogging opportunity to a trusted sites visited by thousands of your target audience. You write the best possible blog post to be published on the site, with loads of great ideas, stats to back up your claims, and a writing style that resonates with your readers. Once published and promoted to the right channels, expect not only to drive more traffic to your site but also — gasp — gain backlinks from that post you wrote, which can indirectly affect your search rankings! By guest blogging not for the purpose of raising your SEO score, but by providing informative content to your readers, you can inadvertently increase your brand and site’s trust rating in the most natural means possible! This sounds awesome! How do I get started with this? Take your time to read these to get a better feel and understanding on how to approach guest blogging not as something that can help you, but something that can help your audience! Don’t want to find guest blogging opportunities on your own? Then download my FREE list of 1,343 blogs that accept guest posts so you can just pick and choose which sites to write for from the list!